Sunshine Through the Rain: Its time for a giveaway - Sew Mama Sew! Its time for a giveaway - Sew Mama Sew! Welcome to 'Sunshine Through the Rain'. I am Deborah and I blog from the wonderful country of Indonesia! I have been sewing for about three years, and in that time I have discovered my love of colour, fabric and the process of creating. This year I have been working on learning how to sew curves. Onto the giveaway! I am giving away a Fat Quarter of my precious Central Park Collection by Kate Spain, as well as a Fat Quarter of some gorgeous Monaluna organic fabric. And I'm sure I'll throw in a few other goodies as well! Please just leave a comment below telling me your favourite sewing blog ever! If you are a follower you get a second entry - just leave a second comment saying how you follow me! The giveaway will be open until Monday May 10th Indonesian time! I will email the winner and announce their name on this post. 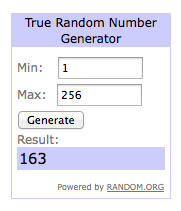 This giveaway is now closed and the winner (chosen by random number generator) is Erika. Thanks for visiting! Now go and enter some of the other amazing giveaways at Sew Mama Sew! One of my favorite blogs is Stitched in Color... looks like it might be one of yours too :-) I also very much enjoy Gnome Angel. I really enjoy Susan's blog (Canadian Abroad) if only for the magic she does with fussy cuts! One that I enjoy is Red Pepper Quilts. My all-time favorite was The Selfish Seamstress, but she's too busy to write lately. I've read SMS since they started as they hail from my neck of the woods in Oregon. I like to read Maureen Cracknell Handmade. I think stitchery dickory dock. I first learned to sew from her. My favorite is sew mama sew (where we are all coming from, today!). I find that I can get information on pretty much anything I need! There are do many its hard to choose a favourite. Canadian abroad is a good blog. I like my friend Julie's blog mackandmabel. I enjoy Quiltville by Bonnie Hunter. My favorite is Happy Quilting! Sew Mama Sew, I love how she brings the sewing community together!! Thanks for the giveaway!! My favorite sewing blog is lladybird. She sews such stylish clothing. I love cashmerette too! I love Cluck Cluck Sew! I love Goodbye, Valentino. Such fun to imagine never buying clothes for a year. I LOVE Don't Call me Betsy for the great range of projects and tutorials but there are so many more. Thank you to everyone that takes the time to blog- a great community. I've been following on Bloglovin for ages. I love all crafty mediums/blogs, but I don't follow many because of time constraints with two little ones. I have to tell you, though, that the very first quilt pictured is so awesome! I want to make one now! 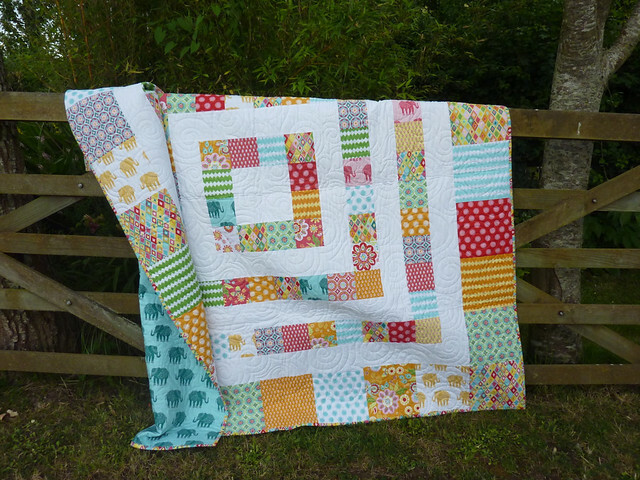 I love the blog Pennydog Patchwork. I am new to the blog world, really new. So, I haven't developed a favorite yet. I'm kinda likin your blog though ( and I'm not just saying that" Your designs and colors are inspirational. Thanks for participating in this giveaway, too. I enjoy Oh Franson blog by Elizabeth Hartman. I love Sew Mama Sew! I follow via BlogLovin! Thanks for sharing! Maureen was my first sewing blog. I am glad to find more per this giveaway.Thanks! I love scrap quilts and so love Bonnie Hunter of Quiltville. I like Maureen Cracknell Handmade (beautiful pictures!) and In Color Order. Film in the Fridge. Can't believe how she works with colour and pattern. Amazes me every time!! And I follow your blog through Bloglovin. Thanks for the second chance! I don't have a favorite blog because there are so many awesome ones out there. I visit Simple Simon and Co, Sew Mama Sew and Angela Walters. Sew Mama Sew was the first I ever followed...way back when they sold fabric! I am always inspired reading the blog! I like Red Pepper Quilts and Film in the Fridge. I like Happy Quilting Melissa. I'm a fan of Jo's Country Junction. I love Sewing In No Man's Land, No Big Dill and Simple Simon and Co.. I like Jodi at tickle and hide. I love Made, her tutorials are great. I've got a soft spot for The Night Quilter...she is based in my home state, so I can't help but want to support a local gal. I love Charm About You! One of my favorite blogs is Quilting Jetgirl - love her patterns, her experiments in transparency quilts and her philosophical musings. Red Pepper quilts is alwats a winner for me. I really like Diary of a Quilter. I love Sew Mama Sew blog. She does an amazing job and to have these fab giveaways twice a year says a lot about her. 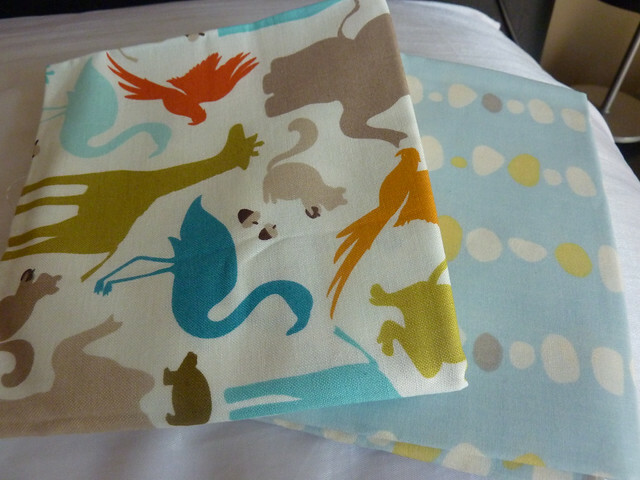 I love Kate Spain and try to buy her fabric lines. So, I just want to thank you for being a part of the SMS Giveaway Day and the chance to try and win these fq. I enjoy SewCanShe which gives me inspiration. I happily follow you on Bloglovin and Instagram. Sew Mama Sew is my favorite! One of my favorites is Quilt Art Designs. I really like Amy Sinibaldi's blog, Nana Company. I also learn a lot from The Inbox Jaunt. oooo i follow a lot of blogs, but right now am digging mollie sparkles and stitchery dickory dock. well, I like mine ;) but my favorite blog ever is Fandom In Stitches!! thanks for the chance! I really enjoy reading the Noodlehead blog! I read a lot of blogs. My favorite youtube channel is the Missouri Star Company. I'm new to sewing, and most of it is clothing for my daughter. I follow a lot of danamadeit.com (MADE) for her fabulous kids clothes tutorials! Your creations are amazing! I really like Sewtorial. I'm NEW follower on bloglovin. lilysquilts is one of my favourites! I have signed up to follow via email. My favourite blog....where do I start? Molly Flanders, Live a Colorful Life, Lollyquiltz, An Occasional Piece, Grace and Favour? All these blogs are by my Mid Century Modern Bee buddies! Check them out if you don't know them! And I have remedied the situation, and am now following via email! I really like Sew Fresh Quilts. 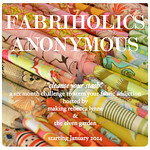 Lots of fun sew-alongs and tutorials. I follow you via bloglovin :) Thanks so much ! I don't really have a favorite, but I like Clover & Violet, Craftiness Is Not Optional, and ikatbag. Sewmamasew is one of the few I follow. I really like HappyQuiltingMelissa. Thanks. I always enjoy seeing what LilabelleLane has made as she makes so much and so quickly! One of my favorite blogs is Sew4Home. My favorite blog is Stitchery Dickory Dock. Fun! My favorite ever is Cluck Cluck Sew! I follow so many sewing blogs that it is hard to choose just one, but I think I will say Sew Mama Sew because it was the first one I discovered and has lead me to many of the blogs that I love the most! There are so many blogs that I enjoy. One of my favorites is Crazy Mom Quilts. Thanks for the chance to win! I started following you on Bloglovin! I follow lots of ways! You should check out Amy's blog called Nana Company... She's awesome!!! I like Melissa Corey's blog Happy Quilting. I am a new follower via Bloglovin!! Sew4home is the blog I check daily. I love Naii, although it is in Spanish. It has tons of great tutus and patterns. Thanks for the giveaway and have a great week! I really like Happy Quilting. my favorites are red pepper quilts and film in the fridge. I don't have one favorite blog but I do love that I can follow all the bloggers I enjoy keeping up with on bloglovin' and instagram :) Thanks for a great giveaway. Following on bloglovin'. Again, thank you for a great giveaway! I like Crazy Mom Quilts. I like her color and pattern choices a lot. Love Red Pepper Quilts and Sew, Mama, Sew. Thanks for the chance! The first ever sewing blog that I visited was Patchwork Pottery and I still love it to this day even if Laurraine doesn't post so very often, lol! So hard to pick just one! I've always loved From the Blue Chair. I really love A Quilter's Table and Christa Quilts, but I have many favorites. Can't have a favorite because there are so many wonderful blogs. All unique, offering different perspectives. I do appreciate sew fresh quilts, but she's not the only one. I really love Sew Mama Sew! ThreeCatRanch - mix of quilting, furkids, flowers, travel, and food. I like the Selvage Blog. She highlights some really interesting work. I'm a huge fan of Anna at Noodlehead and Dana at Made. 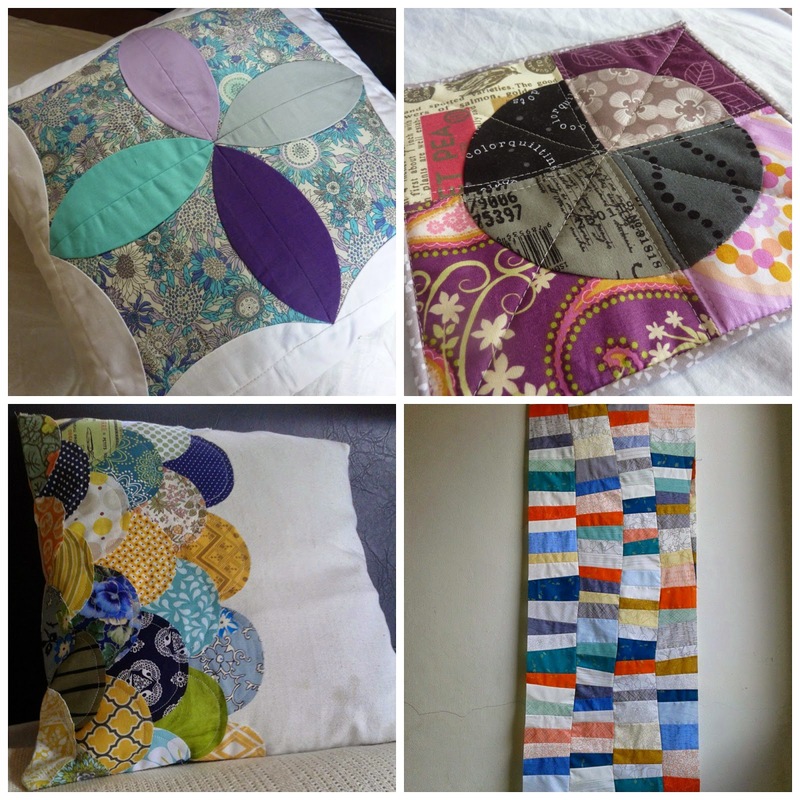 I like the quilting blog Sew Can She! One of my favourites (actually, can I name three?) is Crazy Mom quilts (nothing super fancy and Amanda Jean expresses her self in a way that I totally relate to!). I also love Sarah Lizzies and Blue Mountain Daisy. Both Kim and Rachael are wonderfully creative! one of the many I enjoy is Red Pepper Quilts. My favorite sewing blog is Bee in My Bonnet. I really like Jo's Country Junction. Thanks for the great giveaway. I don't really have a favorite but I enjoy Sew Mama Sew, Happy Quilting, and Crazy Mom Quilts. Thanks for the chance to win. I really enjoy reading Happy Quilting. Hmmm...if I had to pick one - it is Sew Mama Sew. Thanks. I love Cluck Cluck Sew! thanks! Good question but so hard to pick. I get the most inspiration from Quiltville's Quips and Snips. Thank you. Happy to follow via bloglovin. I like Maureen Cracknell Handmade. But it is not an easy choice because I like so many! The quilt that drove me crazy!